filled with fun surprises for you & your dog. Tell us about your dog so we can throw the paw-fect paw-ty for you and your furry friend! Choose from our different subscription plans. Skip or pause your next renewal anytime. 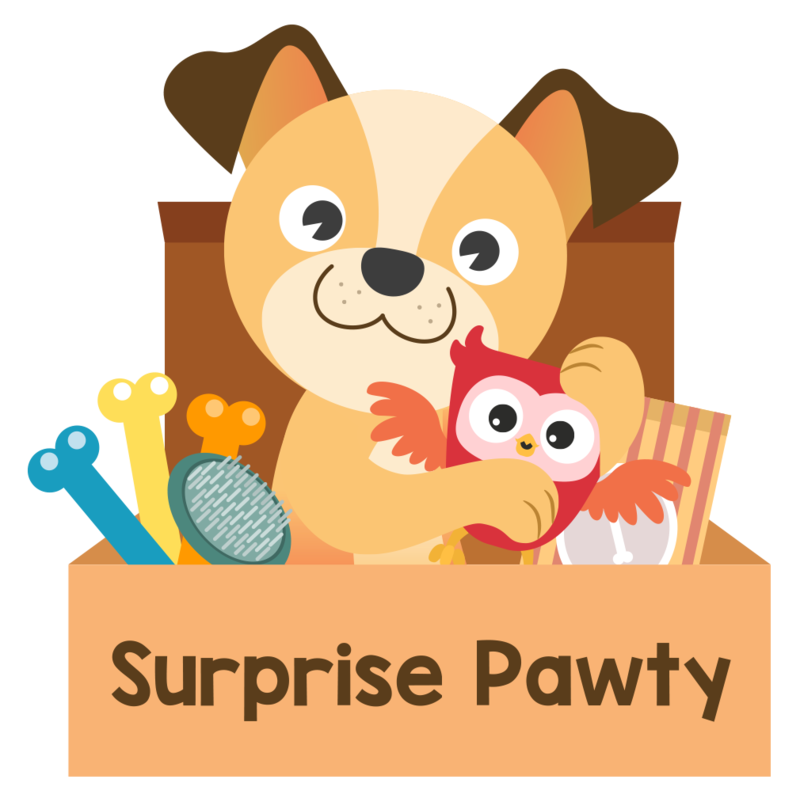 Unbox and enjoy the surprise with your pup! Boxes will be shipped around the 20th of every month. 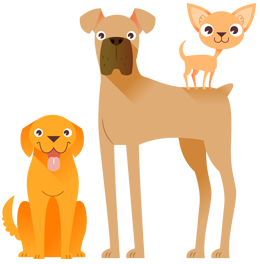 Every month, a pawty box will be delivered to your doorsteps. Each box will contain 5-6 premium-grade items that are curated by our expert pawty planners to bring you the best pawty in the block! Durable toys, all-natural treats and fun accessories for your furbaby, and innovative essentials and cool surprises for you! What better way to celebrate your furbaby's barkday than to throw a Surprise Pawty! Simply let us know when your pup's barkday is and we will add a special treat plus custom design your pawty box on the barkday month! Receive monthly goodies that cater to your dog's needs. Don't like an item? Send it back & we'll replace it. We test every product to ensure quality and safety for your pup. Ready To Pawty With Your Pup?